During the 1820s several attempts were under to charter and develop railroads with the new technology already in use in England. The first to be chartered, which was actually built and operated, was the Granite Railway Company based in Quincy, Massachusetts. Eventually the small property was rechartered as a common-carrier although it began as a private operation to move large amounts of stone granite, which the company was named after. Interestingly, enough, despite using horse-power for years the railroad saw many years of use, eventually becoming part of the New York, New Haven & Hartford (the New Haven), which abandoned much of the route. However, part of the original right-of-way remained in use through the mid-20th century. Today, a section of this right-of-way is preserved as a trail and its famous incline is listed on the National Register, also preserved along with several designs that the company is credited with first implementing. There were many "firsts" occurring during the birthplace of the railroad industry in the United States during the 1820s from the first chartered common-carrier (Baltimore & Ohio) to the first regularly schedule passenger train pulled by a steam locomotive, the Best Friend of Charleston on the South Carolina Canal and Rail Road. Technically, the first railroad ever chartered in America was the New Jersey Railroad Company of 1815 by Colonel John Stevens. However, it never actually began construction until 1832. As such, the distinction of the first railroad chartered, built, and operated was the Granite Railway Company established on March 4, 1826. 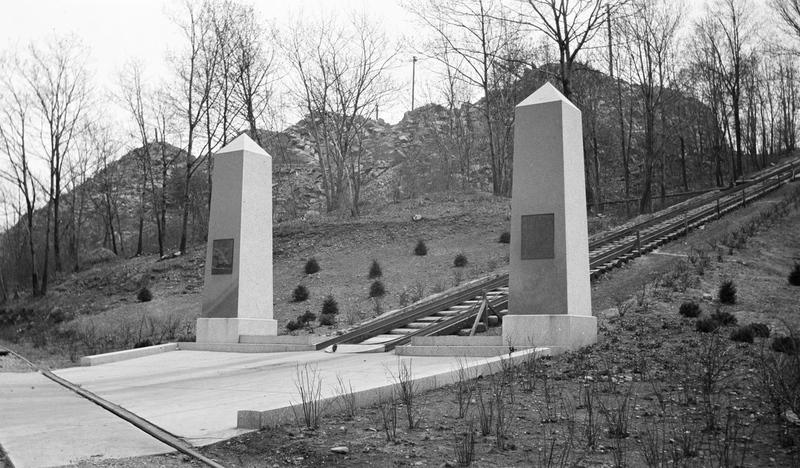 Hoping to easily transport the movement of granite between Quincy and the Neponset River at Milton its builders initially intended it only to furnish the needed stone to complete the Bunker Hill Monument project. However, with a steady supply of stone the quarry became rather profitable prompting many years of use for the railroad. The creation of the system was thanks to Colonel Thomas Handasyd Perkins along with cooperation from the state of Massachusetts, as funding came thanks to the work of state legislator Thomas Handasyd Perkins. The line would run just three miles in length and, interestingly, no thought was given at the time to even consider using steam locomotives; true horsepower would be used to pull cartloads of granite rock. It opened for business, officially, on October 7, 1826. Despite the lack of steam power the system used an incredibly strong infrastructure. As John H. White, Jr. points out in his book, "The American Railroad Freight Car," Gridley Bryant designed a track system employing huge stone rails and reinforced timber flatcars. It was truly a concept hearkening back thousands of years but proved its worth as it remained relatively unchanged until 1866. The gauge was set to five feet, wide by today's standards of 4 feet, 8 1/2 inches although during that era nearly everything in relation to the railroad industry was still in the developmental stage. To read more about the history of America's first railroad please click here. After four years of operations the system was slightly expanded when an incline system was built to serve a new mine, the Pine Ledge Quarry. The incline was 315 feet in length and rose to a level of 84 feet. At the top was the new mine while at the bottom it reconnected with the rest of the railroad system. It functioned as an endless conveyor belt with wagons delivering loads to the bottom and returning to the top empty. The company has been credited with creating a number of railroad designs such as turnouts (also known as switches, or frogs), the turntable, and even double-trucked freight cars (two axles housed within a single carriage apparatus). However, because the railroad's chief engineer, Gridley Bryant who created these inventions, believed that they should be available for the entire industry and public in general he never patented them. By 1837, after more than a decade of continuous service, the wooden, strap-iron rails were seriously eroding. With a steady supply of incredibly hard stone the railroad made the logical choice of using granite as replacement for the wood and again placed iron straps on top. The company remained independent until it was acquired by the Old Colony & Newport Railway; formed in 1845 the railroad would grow to serve most of eastern Massachusetts and also reached Providence, Rhode Island covering about 617 miles. Up until this time the Granite property had always used horse power to move loads of stone. However, under new management it switched to more efficient steam locomotives. The use of steam eliminated the need for barging stone down the Neponset River to Boston since the company operated its own line to the city. Finally, the Old Colony Railroad also did away with the granite trackage using traditional iron "T"-rails and wooden ties, set to standard gauge. 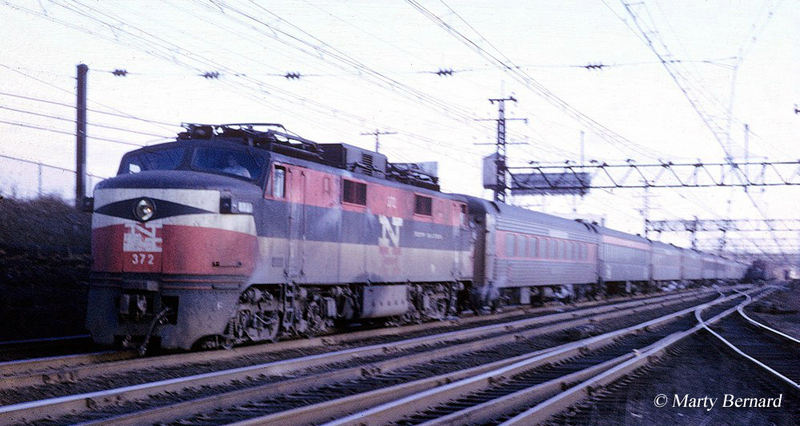 In 1893 the system was acquired by the growing New Haven Railroad, which shortly afterward abandoned the Granite's original three-mile main line. 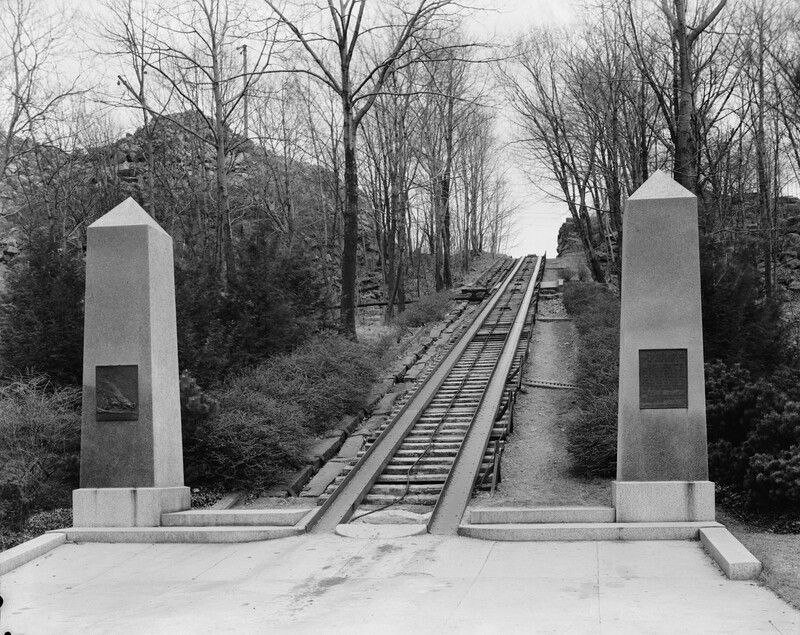 Despite this, the incline section remained in use until the 1940s with the granite rail section plated over with metal planks and used as a roadway system for trucks. Today, much of the original right-of-way between Quincy and the Neponset River is a rail/trail while the old incline system now has plaques and markers describing its use and distinction as a National Register of Historic Places (which was first dedicated on June 19, 1973).